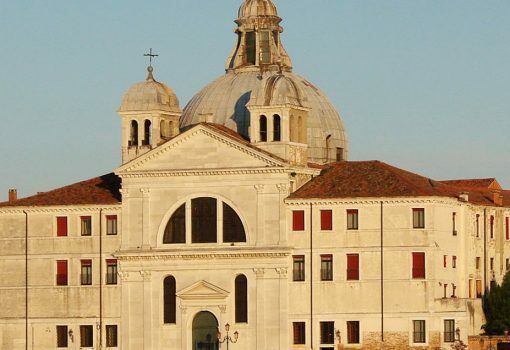 Some information about Venice: The foundation of the city of Venice is not attributable to an exact date. 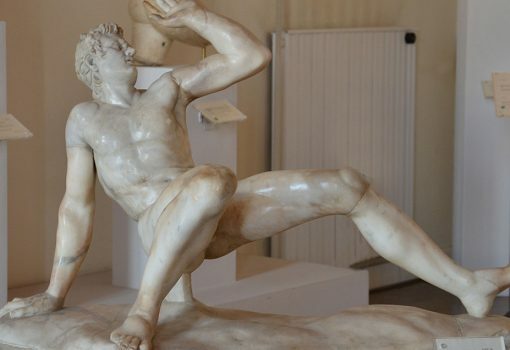 Its origins date back to settlements made ​​by the inhabitants of what today is Veneto, who fled for refuge after the fall of the Roman Empire and the invasions from the north by the Huns and Germanic peoples. Initially, the population concentrated on the islands of Torcello, Murano and Lido (then Malamocco). When Pepin, son of Charles the Great, occupied the lagoon and destroyed Malamocco, the islands came together and founded a new city along the Rivus Altus (Rivo Alto, ie today’s Rialto), thus was born the Venice that we know it. In 812 Venice became a Byzantine province and under the protection of the Roman Empire, the city was able to devote itself to its development. 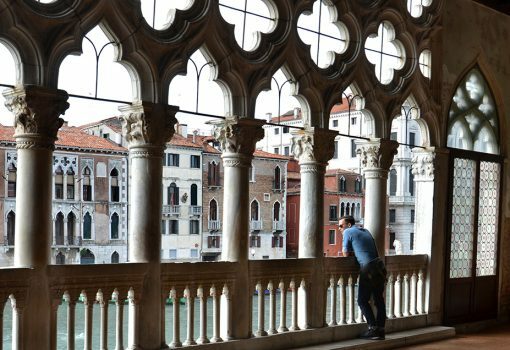 Given the strategic location, the Venetians soon became excellent navigators, turning the city into a trading power that earned a state of exceptional wellbeing. 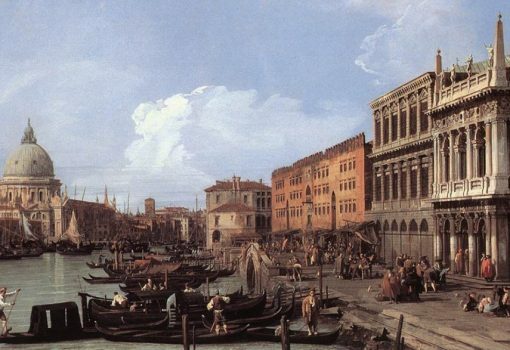 Following the flourishing business, Venice became the largest financial center in Europe. The economic development allowed the city to establish a powerful military fleet that was able to conquer in a short time the Friuli, Istria and Dalmatia. Strong from the commercial, economic and military point of views, taking advantage of the Fourth Crusade in the Holy Land, Venice aimed at the conquest the Eastern Roman Empire , occupying Constantinople and becoming the master of the Greek islands in the Aegean Sea. 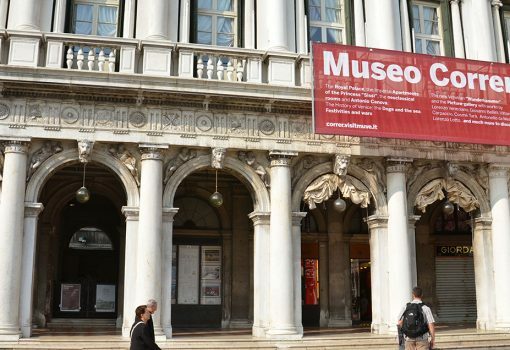 Many artistic treasures including the horses on the Basilica di San Marco, were imported to Venice. In 1381 they managed to defeat thier sworn enemy, Genoa, so managing to dominate the whole of ​​the eastern Mediterranean. 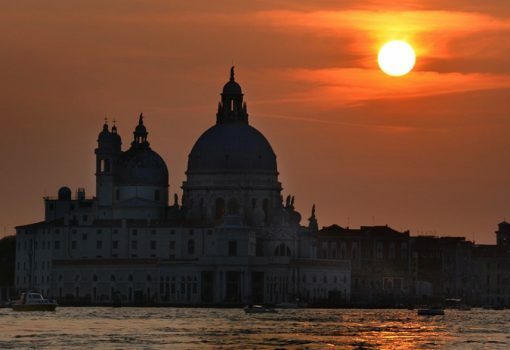 Thanks to the rapid territorial expansion the population grew also very quickly so, between the fourteenth and fifteenth century, Venice became the third largest city of Europe after Paris and Naples, earning the nickname “Queen of the Adriatic”. Now dominating the Mediterranean area, the lagoon city aimed to conquer the inland, annexing Padova, Vicenza and Verona to its territory. 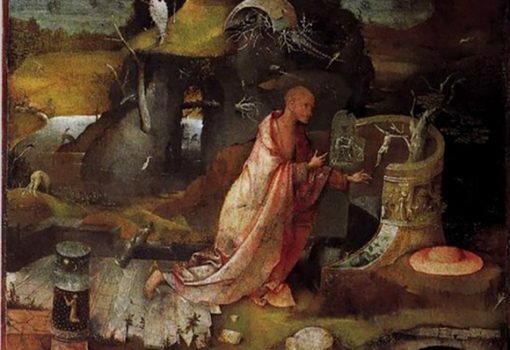 The highlight of the expansion of its power and came with the conquest of Cyprus. The decline of the Queen of the Adriatic began in 1453 with the conquest of Constantinople by the Ottomans, and continued with a war against the Turks, which lasted 300 years. With the discovery of America, the commercial center shifted from the Mediterranean to that of the Atlantic giving life to new major European powers and leading Venice more and more in political isolation. The Republic of Venice found itself facing the alliance established by the League of Cambrai between Austria, France and Spain. 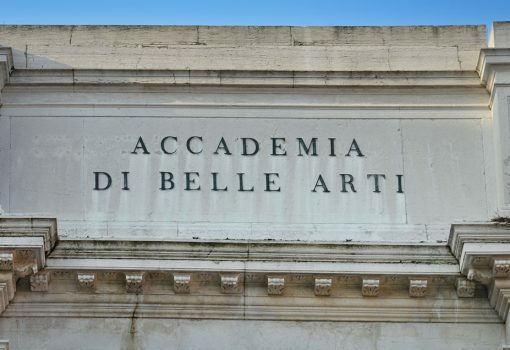 The city also had to deal with two cruel plague epidemics (1575 to 1630) and further wars against the Ottomans, now exhausted, the Queen of the Adriatic, abandoned its possessions in the Mediterranean area in order to concentrate on the defense of property around the lagoon. When in 1797 Napoleon arrived in front of the lagoon, the city surrendered without a fight. Napoleon looted Venice and handed it shortly after to the Austrians who integrated it in the Habsburg Empire until 1866. Under Austrian rule, the city was modernized and connected to the mainland by a railway bridge. In 1866 the Habsburgs withdrew from Venice and entrusted it to the new Kingdom of Italy. Poverty and economic decline characterized the following years. Only after the First World War, the economy began to recover, thanks to the development of heavy industry and the shift of the port to Marghera. 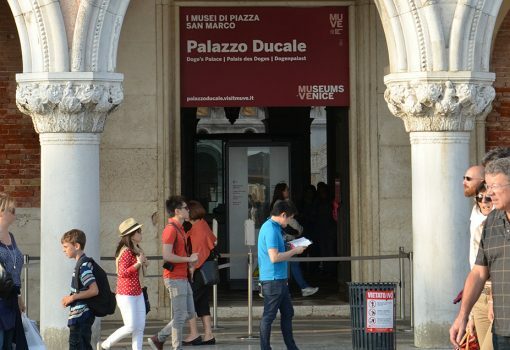 With the development of modern tourism in the second half of the twentieth century began also the renewed rise of Venice, which has continued until today. Due to the peculiarity of urban planning and for its artistic heritage, Venice is universally considered one of the most beautiful cities in the world and ranks among World Heritage Sites protected by UNESCO: this factor has contributed in making it the second Italian city (after Rome ) with the highest flow of tourists. 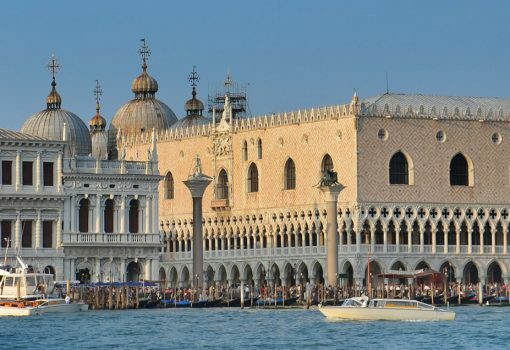 The monuments of the city of Venice are found almost entirely in the historical center and in the islands of the lagoon, leaving the part of the mainland virtually free of places of interest. The Lion of St. Mark is an acient symbol of the city of Venice, from its ancient Republic, it is the current symbol of the City and the Province of Venice as well as the Veneto Region and a number of other agencies and civilian and military administrations. The Lion of St. Mark appears in all the cities that were under the rule of the Venetian Republic (usually in the main squares and historic buildings). It is found also on flags, banners, coats of arms, statues and coins. It appears also on naval flags both merchant and military of the Italian Republic. 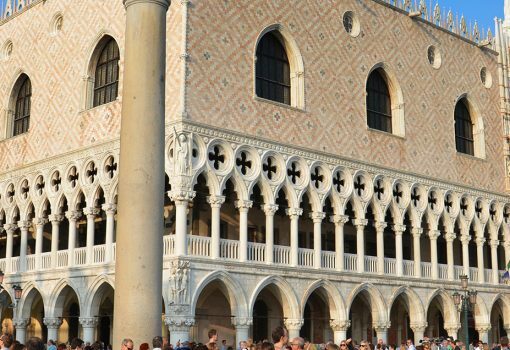 The most renowned location of Venice is St. Mark’s Square, the only in the historical center to be characterized by the name “square”: squares are in fact called “fields” or “campielli”. 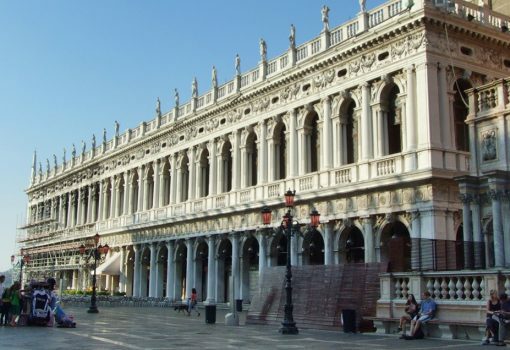 Venice is famous for its coffee houses. Imported by the Ottoman Empire around 1615, since 1683 many cafes spread throughout the city. 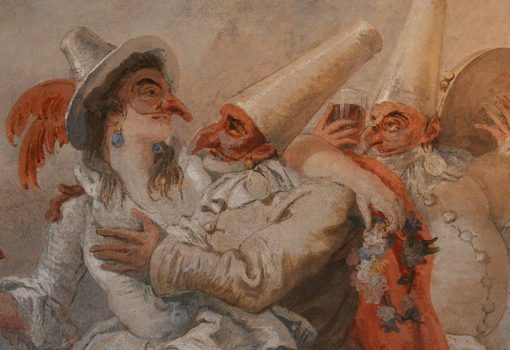 On December 29, 1720 the famous Caffè Florian was opened, still active in St. Mark’s Square, under the New Magistrates, in 1775 the equally famous Caffè Quadri opened. 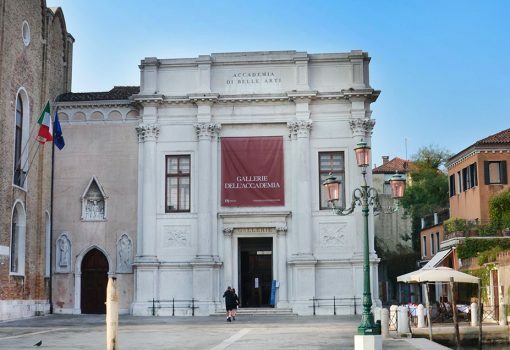 Venice is also home to refined museum Peggy Guggenheim, where there are great works of artists such as Ernst, Modigliani, Picasso, Miro, Pollock and Kandinsky. 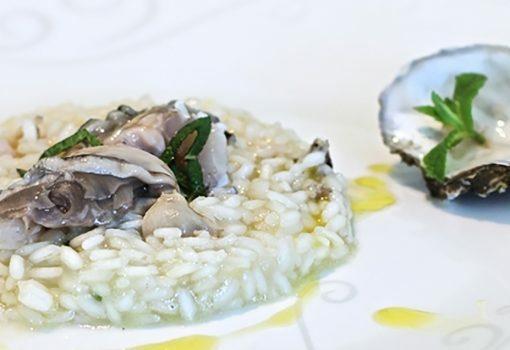 In the lagoon the major tourist destinations are the islands of Murano, Burano and Torcello. 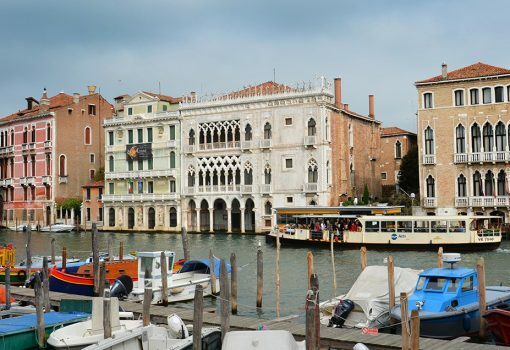 The island of Lido is instead a popular seaside resort and home to the renowned Venice Film Festival. The Carnival, In 1571, the year of the great naval victory at the Battle of Lepanto, a parade of floats was set up depicting the “Christian faith” in the act of crushing under its foot a chained dragon, the “Victory” that subdued the losers and “Death” triumphant with a scythe in hand, it too was a grim reaper in the battle. The Vogalonga: the first edition was held on May 8, 1975, the day of the” Sensa”, with the departure of all the boats gathered in front of Doge’s Palace. 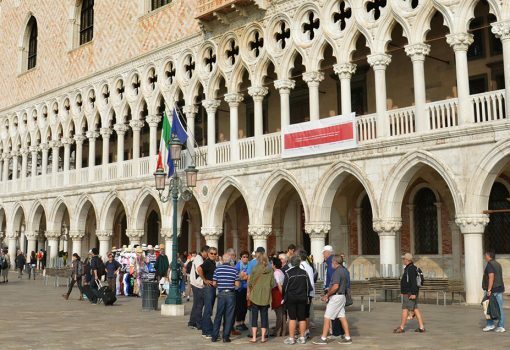 From its very first edition about 1,500 rowers attended with as many as 500 boats, from Venice and many other places in the Veneto with some crews coming from other regions. The following editions of the Vogalonga saw a gradual increase of approval and participation, reaching over 1,600 boats and more than 6,000 members in 2008, with rowers coming from all over the world and now with all kinds of boats, as long as it a rowing boat. 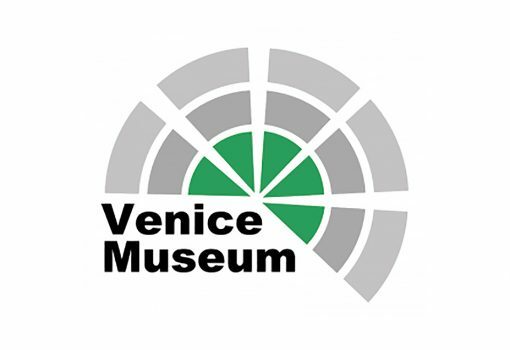 For more Information on how to book entrance tickets to the museums of Venice please visit the Venice Museum web site or call us at (+39) 055-713655.